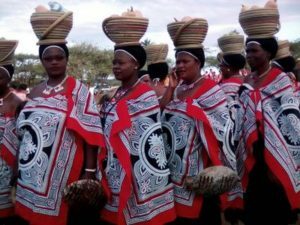 The Marula Festival is a time of song, dance and celebration of the harvest of the marula fruit. 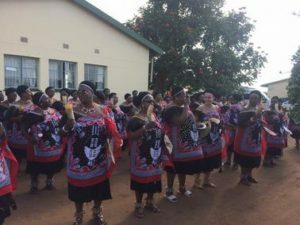 Their Majesties are presented with gifts and marula beer from different households, as seen in this picture. In the picture below, nurses are collecting on site data for health activities. 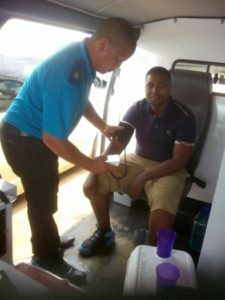 More than 20 clients were screened and treated. 3 clients were treated for minor injuries. 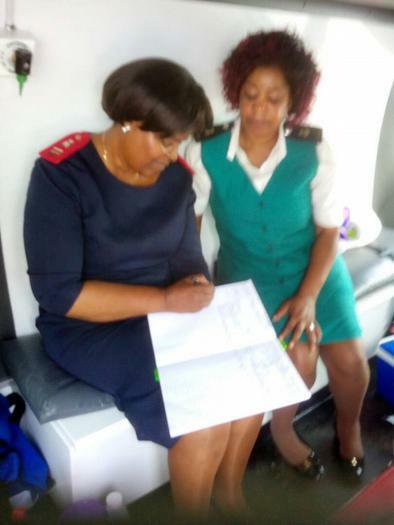 In this picture, a nurse is taking the blood pressure of a client in the Clinic’s Ambulance. 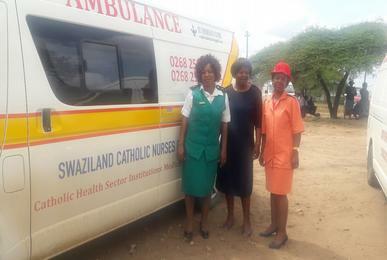 The health services provided by St. Theresa’s Clinic at the event complemented other health services provided by the other Health Service Providers from other Regions.